For children forced to fight, their childhoods are stolen. They face severe challenges reintegrating into a peacetime society, need extensive psychological support, and have limited economic opportunity due to missed formal education. Children are the key to any nation's stability and success. They should have the opportunity to grow and learn and pursue their dreams so they and their nation can prosper. Sign the petition to show your support for the Children, Not Soldiers campaign led by Leila Zerrougui, the Special Representative of the Secretary-General for Children and Armed Conflict, and UNICEF, which seeks to galvanize support to end and prevent the recruitment and use of children by national security forces by 2016. Together, we can make our world a more peaceful and humane place! Listen to former child soldier and advocate Ishamel Beah explain the "Children, Not Soldiers" campaign! I am writing to show my support for your Children, Not Soldiers initiative. 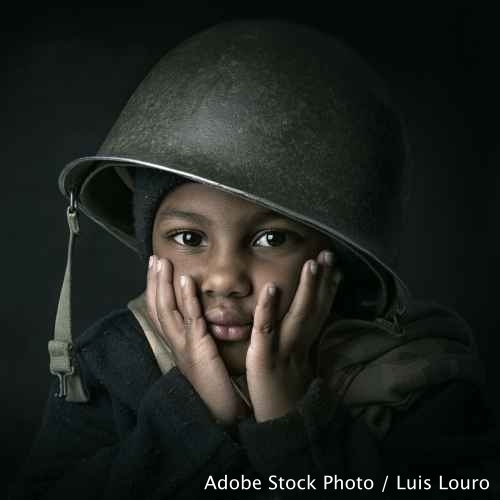 The use of children in war and the military robs the young people of their most formative years and leaves enduring physical, emotional, and psychological scars on the innocent. Children are the key to any nation's stability and success. They should have the opportunity to grow and learn and pursue their dreams so they and their nation can prosper. By creating Children, Not Soldiers, you are helping the world to become better aware of the plight of child soldiers. You are a voice for the voiceless and exploited. Your work is to be commended. Thank you for dedicating your time, talent, and resources to this issue. That's 11,476 signatures! Let's keep the ball rolling.